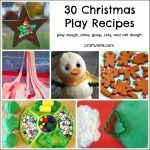 If you are a regular reader then you’ll know that my son LOVES play dough. I enjoy making my own for lots of reasons – I can control the colour but also I know just what goes into it. I have a standard recipe that I use and then adapt, but it occurred to me that rather than using food colouring, I could use natural sources of colour, and make herb and spice play dough! We used some amazing herbs and spices from The Spice House. So let’s make some dough! This gave the dough a soft green colour and a wonderful woody smell. The ground rosemary didn’t mix in completely so the dough has a slightly mottled (not unattractive) colour. I didn’t really see much change in colour between adding one or two tablespoons. The mustard powder mixed in really well, giving a subtle light yellow colour. The cinnamon produced a lovely milky chocolate-coloured dough (pictured below) – and the wonderful warm spicy smell got me in the mood for autumn a few weeks early! The turmeric gave the dough an amazing bright yellow colour and a lovely spicy aroma. Plain play dough plus cocoa powder equals Chocolate Play Dough! I think this was the only time I was even vaguely tempted to eat! The cocoa powder was slightly harder to blend than the other powders initially, but after kneading came out fine. Paprika is my third favourite smell, so I absolutely loved making this one. It gave such a warm red colour to the dough as well. (First and second favourite smells are chipotle and melting chocolate, in case you were wondering). This was the powder that I was most intrigued to try as I’ve never worked with it before. It blended really well and despite the brightness of the neat powder it produced a lovely light orange dough. The final result was like a ball of cheese sauce! One thing I was concerned about was whether the herbs and spices would stain hands or surfaces. After lots of kneading each dough I didn’t get any stains on my hands at all. I pressed all seven doughs onto a pieces of white paper and left them for an hour to see if any colour seeped out. There was a tiny bit of staining from the paprika, turmeric and cheese dough, so you may want to choose your surface carefully for these ones! I presented the play dough at a playdate, and the kids (and adults!) loved it. I resisted getting out the usual brightly colored dough accessories (OK, I hid them from F) and instead we used craft sticks, wooden trees and small rocks. 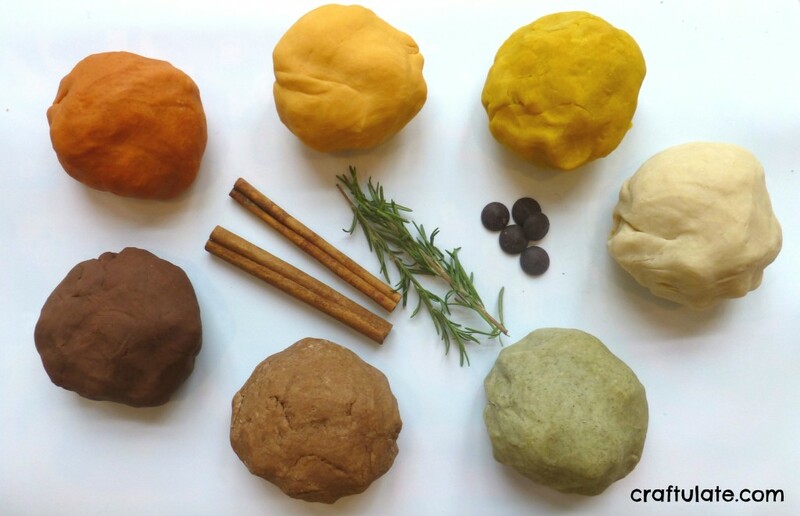 Favorite doughs were cinnamon and rosemary for the smell, and turmeric for the color. The mustard was least popular as it didn’t have a strong color or scent. 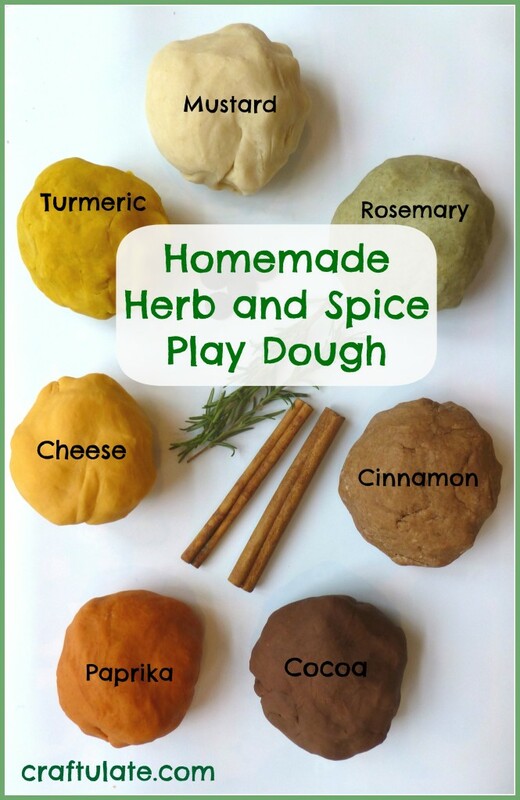 This herb and spice play dough recipe uses natural flavors and scents to create an amazing sensory experience! DO NOT EAT. 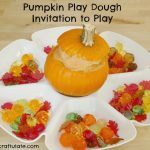 For each batch of play dough, add all ingredients to a saucepan and mix well. See main post for suggested quantities of herbs and spices. Place over a low-medium heat and cook, stirring constantly, until the dough forms into a ball. Place onto wax paper, let cool, then knead until smooth. tried this with cumin using about 3 tablespoons and it worked great! Mmmm cumin would smell lovely! I’ll have to try it! What an interesting blog, I can’t wait to try it! Love love love your site!! Wonderful ideas!! Please, please, please be wary of giving children cinnamon laced playdoh! Cinnamon is a harsh irritant, and regular exposure can end up creating an allergy…take it from the mom of a preschool with a cinnamon allergy caused by over exposure (which I found out about when he broke out in a full body rash after playing with cinnamon playdoh). It is taste-safe – which isn’t quite the same thing as edible! It doesn’t taste very nice – so kids won’t be tempted to eat very much of it! I have not tried it yet but I wonder if you used beet juice (from canned beets even) instead of water when you made the dough. I bet that would work, yes! 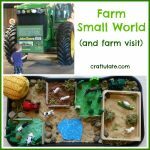 Pingback: Nature Sensory Activities for Preschoolers: get them outside!